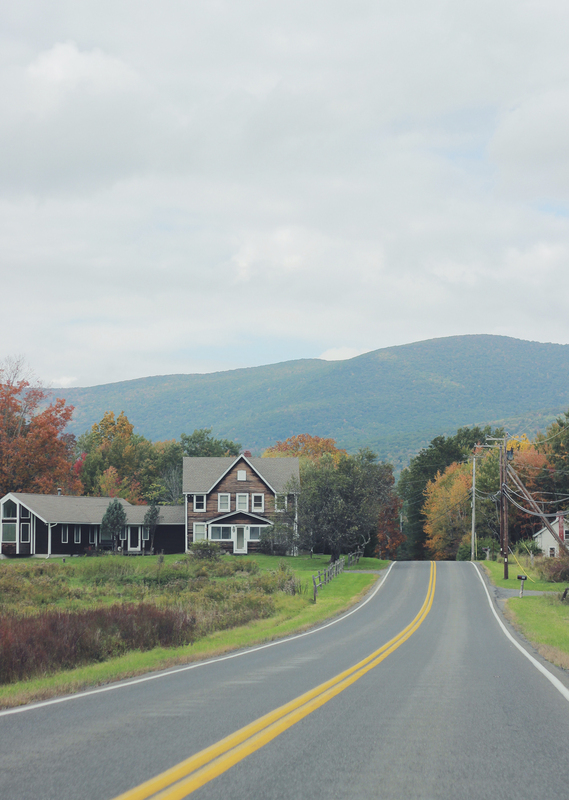 This October, Adam and I finally decided to go find out what New Yorkers rave about every Fall: Upstate. The results? We’re hooked. Just a 2 1/2 hour drive from our city stoop you get a much needed escape into nature (hellooo foliage) and small town charm that’s very reminiscent of New England this time of year. Plus, (thankfully) still delicious food and drink. In short, we’ll definitely be back. 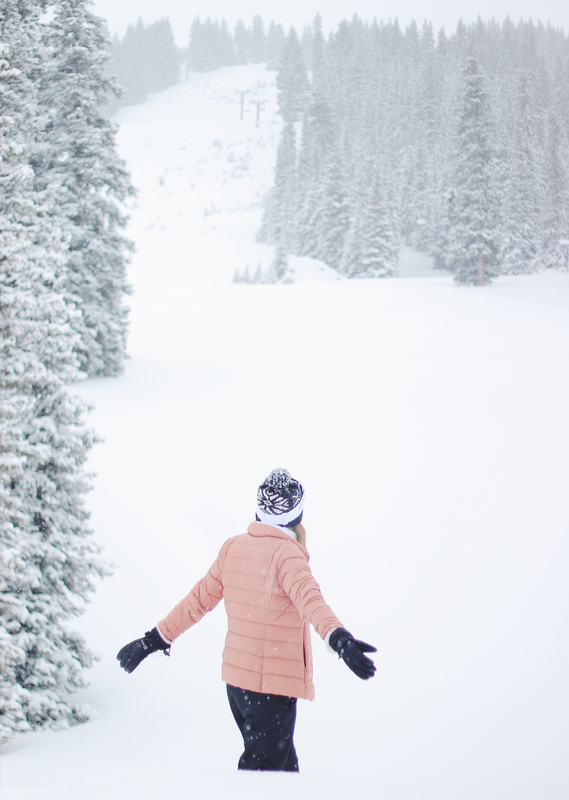 Below, my greatest hits from the trip and what I already can’t wait to try on our next trip. Most places in the Hudson Valley are about a 2-3 hour drive from New York City making it the perfect weekend (or mid-week!) escape. We hopped from town to town (Windham, Woodstock, Phoenicia, Saugerties, Germantown and Hudson) throughout our stay and most of them are about a 30 minute drive apart. 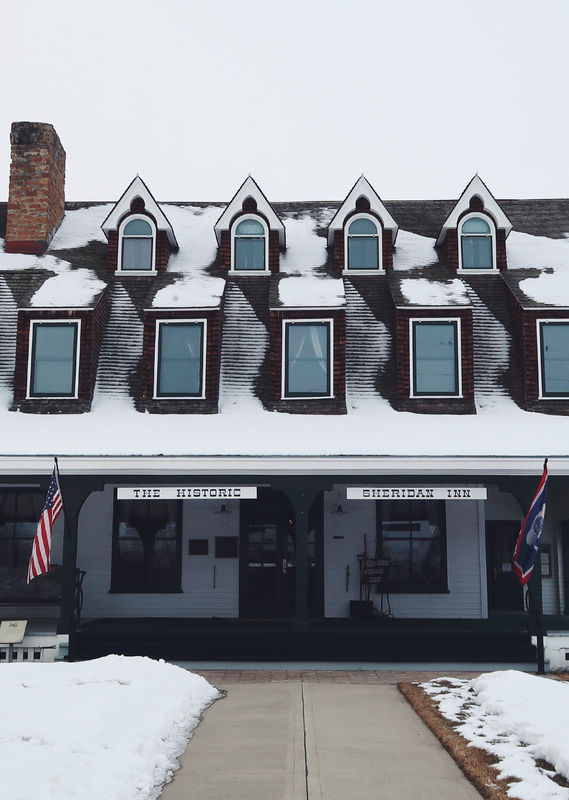 We stayed at Eastwind Hotel & Bar and while it was our first trip upstate, I honestly can’t imagine staying anywhere else. 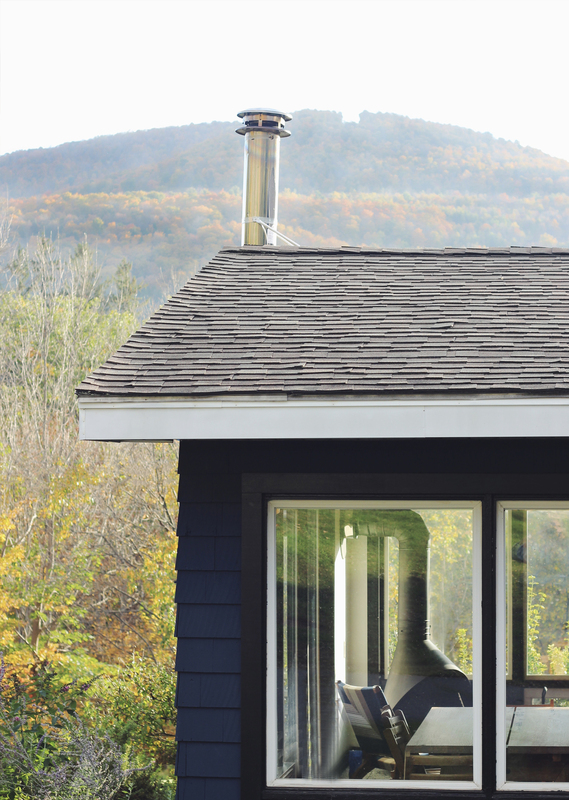 I’ve mentioned before that I like to stay places that feel really unique to the area and with it’s rustic, mountain charm meets cool mid-century design the Eastwind embodied how the Catskills felt to me. 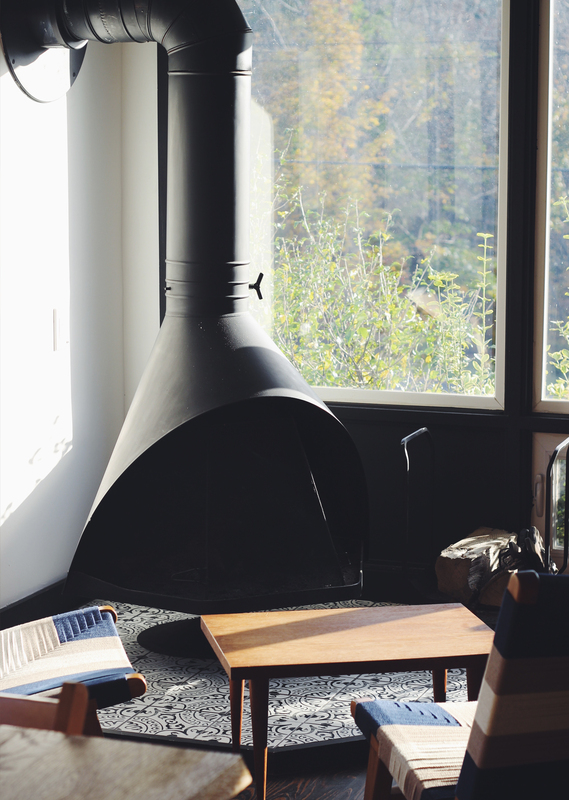 The common area boasted a wood-burning fireplace, vintage board games and the quaintest little bar, the property had a wooden sauna, badminton on the lawn and shared fire pit for guests at night and the rooms were swoon-worthy in every corner. 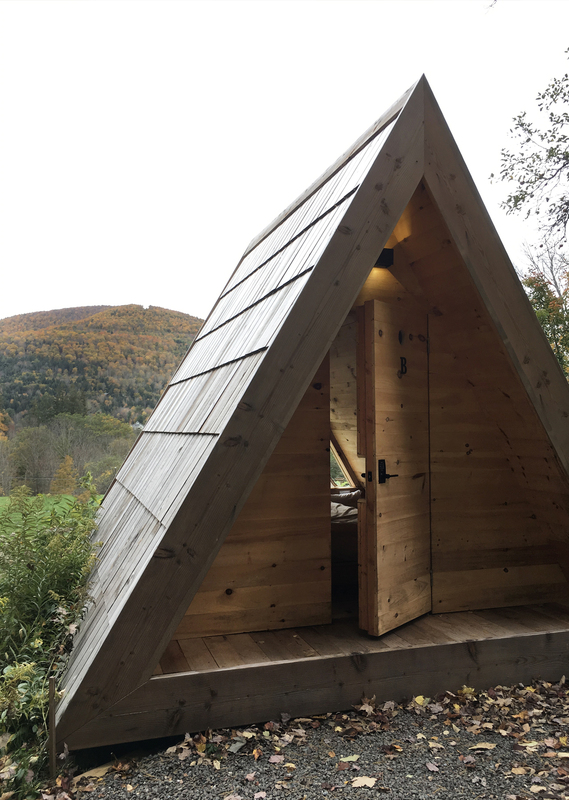 We stayed in one of the King rooms, but you can also stay in a tiny A-frame cabin that offers the chance to wake up to mountain views. The whole place is honestly just gorgeous and felt really welcoming. I can’t wait to go back up when it’s all blanketed in snow this winter (ps. they’re even putting in a hot tub soon that’s going to set the whole cozy level over the top). The joy of escaping the city and surrounding yourself with nature is that you can really just slow down. So if you want to simply sit and play games in front of a fire at the Eastwind with mountain views out the window, you should do just that. But if you want to do some exploring, there’s plenty to keep you entertained. Go Leaf Peeping – There’s plenty of paths throughout the Catskills that are going to offer sweeping views and great hikes – but if you want to take a little shortcut, Hudson Mountain uses their ski lifts in the off season to take you on a leaf peeping ride straight to the top (runs weekend’s only through mid-October). 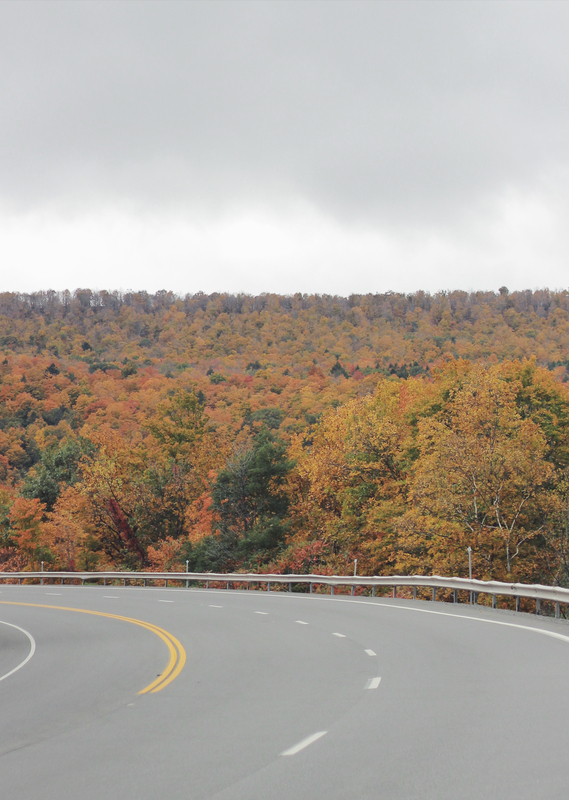 Or simply take a scenic drive – we loved the Five State Overlook in East Windham. 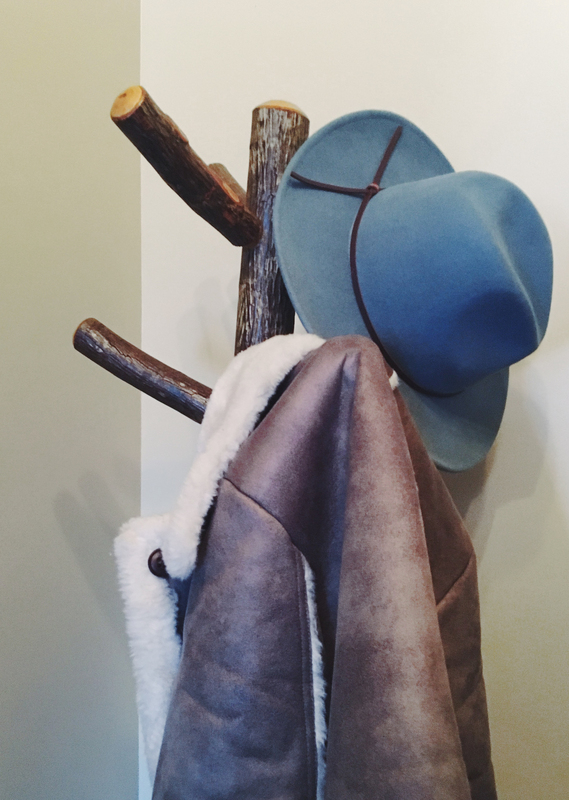 Shop Small – Hudson, Woodstock and Saugerties all have endlessly cute little main streets (although Woodstock’s comes with a predictable amount of tie-dye t-shirt shops). I loved the selection of mid-century housewares at Vintage Modern on Tinker Street in Woodstock. Saugerties Lighthouse – A short little hike out to this lighthouse for pretty views on the Hudson. Don’t forget to check the tides though, you won’t want to get stuck out there with rising waters. Buy a Book – You all know I love a good independent book shop and when we travel I almost always seek one out so I can pick up a book as a souvenir. 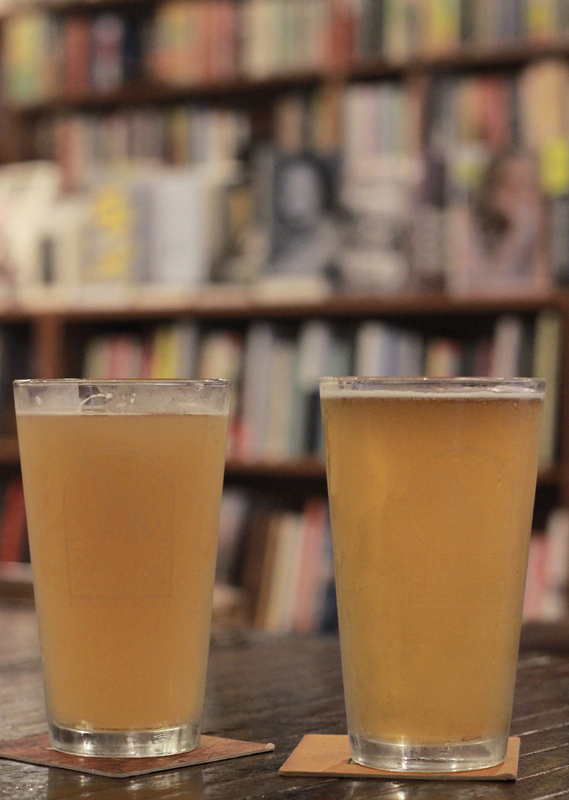 There was not one but two great shops on this trip: Spotty Dog in Hudson which is magically both a bar and a bookstore and truly like the place of my dreams. And Inquiring Minds in Saugerties which also has a cute little cafe in the back, areas for reading and a record section. Visit a Local Farm – We didn’t have time to make any stops but I’ve heard good things about Fishkill or Greig Farms. The joy of eating and drinking in Hudson is that many places were started by New Yorkers – meaning the food and drink holds up to our impossibly high standards of deliciousness here in the city. So you get to escape into nature.. but still eat like you’re in the city. Win, win. Cucina Woodstock – Set in a beautiful old manor house with a sweeping wrap around porch, dinner here feels instantly romantic. Suarez Family Brewery – Between Hudson and Germantown this small craft beer brewery is a great little stop off with a few beers on tap and plenty of tables for hanging out. Give a pat to the cute shop dog for me if you go, we were fast friends. 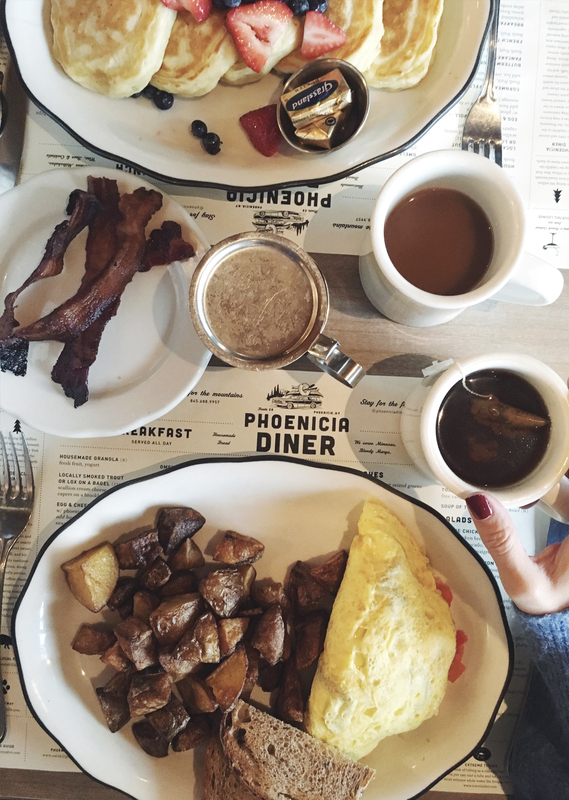 Phoenicia Diner – Kind of iconic at this point, it’s basically like if the East Village went upstate. A hipster-haven/old school diner that served up solid food (the potatoes and pancakes were our favorite). Shindig – Great little lunch spot in Woodstock on Tinker Street. 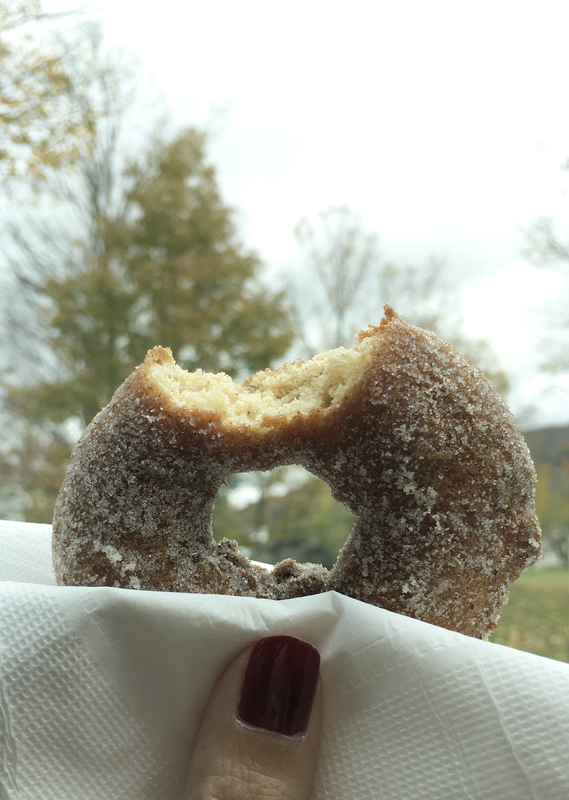 Miss Lucy’s Kitchen – Maybe our favorite meal of the trip this tiny little spot in Saugerties feels like home cooking.. but elevated. Make a reservation or come early – on a Friday night we got lucky and squeezed in as the last seats available. 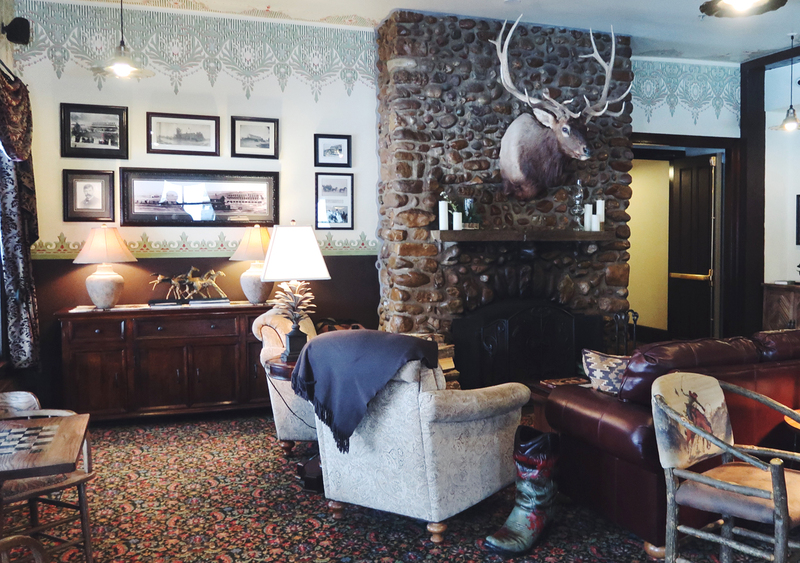 Fish & Game in Hudson and Gaskins in Germantown were both highly recommended to us by friends and Eastwind Hotel as well and on our next trip I hope to try them both! Don’t forget to pick up an apple cider (or 6) from one of the many farm stands or mom and pop shops for the car ride home! Until next time! 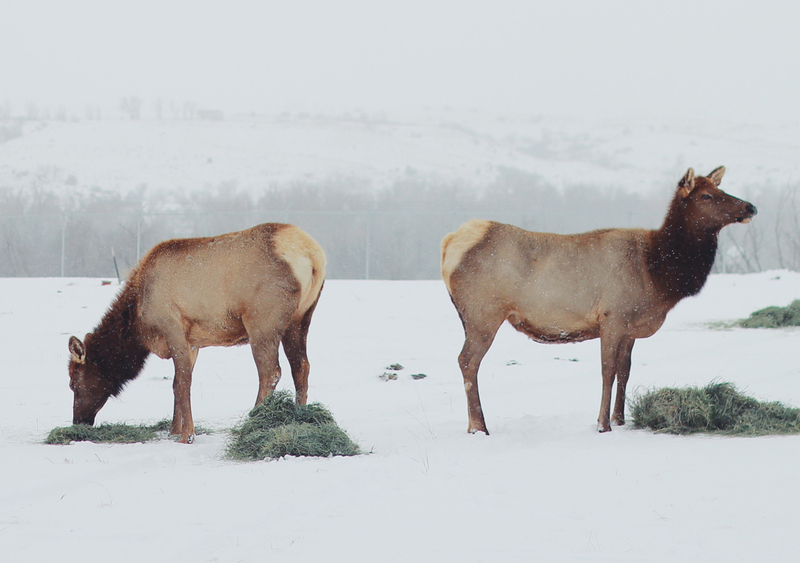 Our trip to Wyoming actually began late last year when we chatted with the state’s board of tourism about the chance to come out West and experience Winter in Wyoming. They asked if we’d be willing to go off the beaten trail (aka head outside of Jackson Hole and Yellowstone where most tourists congregate). Willing?!? 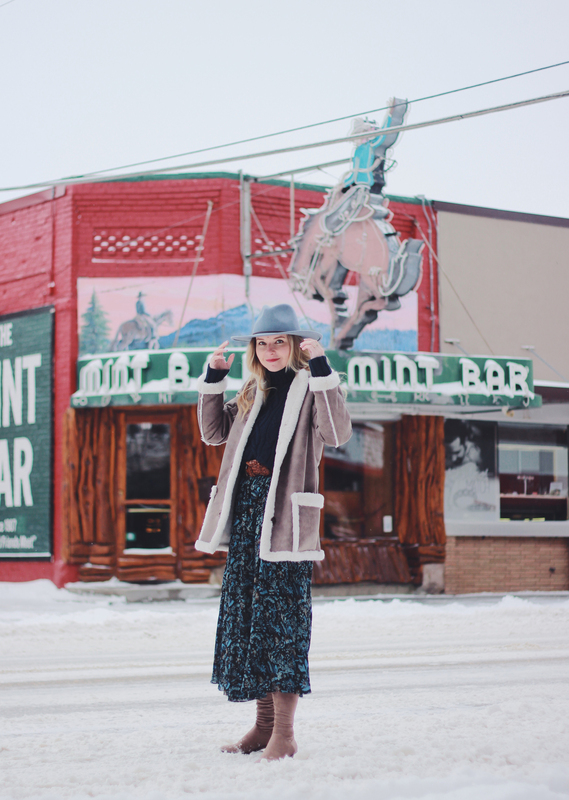 We jumped at the chance and this February touched down in Sheridan, WY to get a real taste of the independent, adventurous spirit that makes this cowboy country such an amazing place to visit. 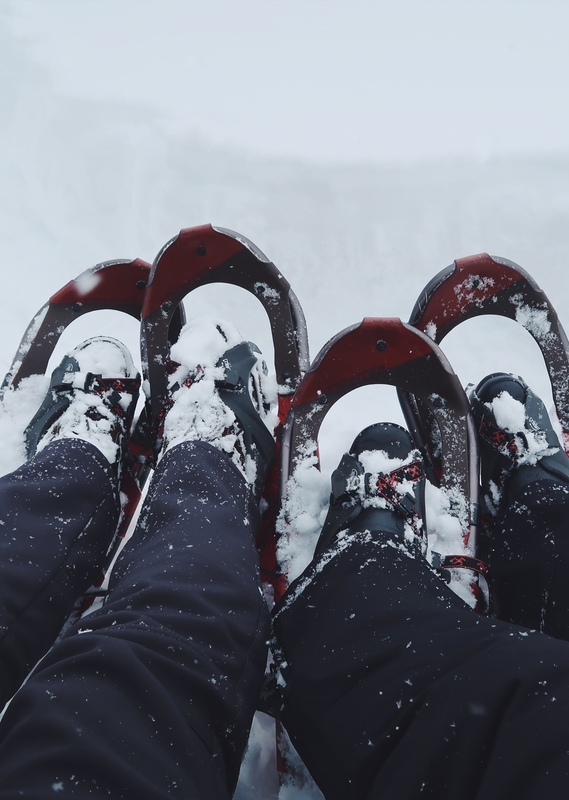 We were blessed with over a foot of fresh snow in the 4 days that we were there, and seeing that part of the country in the depths of Winter is something that Adam and I will truly never forget. 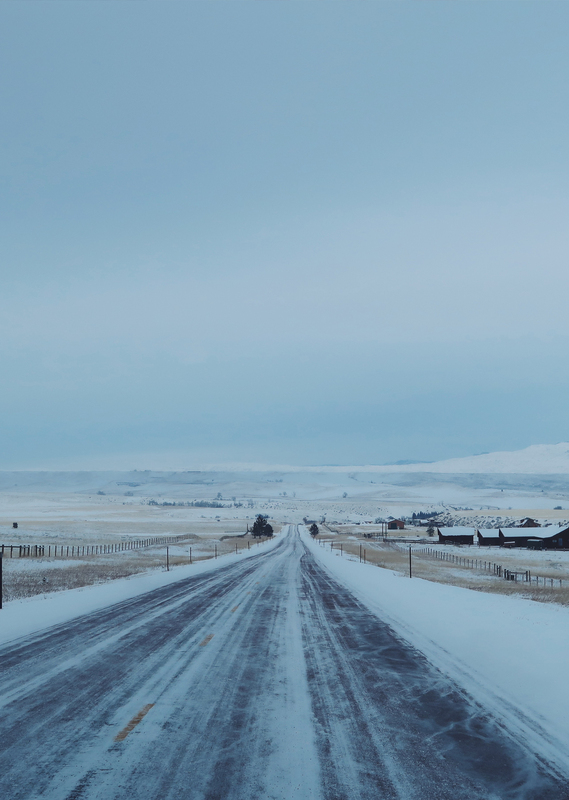 Add to that the incredible people and all the things to see and do, and I can wholeheartedly say that Wyoming – and Sheridan specifically – should be added to your bucket list, stat. Below – our very first travel vlog (something we’ve been wanting to add to the site for a long time so I hope you enjoy watching it as much as we enjoyed filming and editing it!) 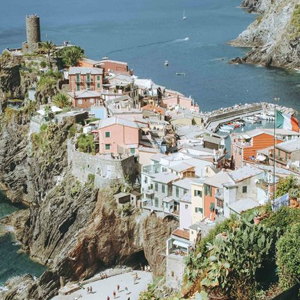 plus our full itinerary and photo highlights along the way. If you’re wondering – what does one wear when visiting the Wild West, I’ve shared that here, here and here. 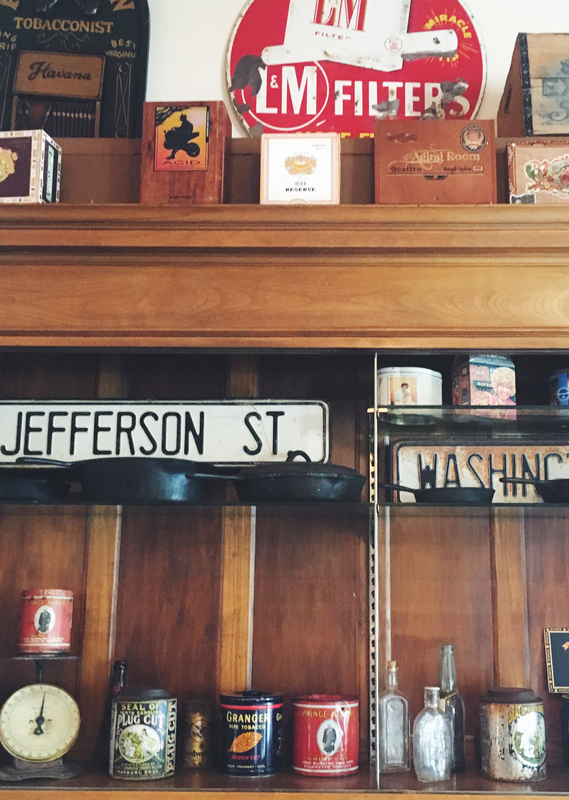 And for more on our incredible stay at the Historic Sheridan Inn be sure to check out this post. And finally, a huge thank you to the city of Sheridan and the state of Wyoming. We can’t thank you enough for this incredible opportunity and for sharing your corner of the country with two wide-eyed, city kids. This won’t be the last you see of us! From New York, we flew to Denver and then took a 30 passenger flight via Denver Air Connection directly into Sheridan. Not only was this simple, but they give out king-sized candy bars on this airline. I repeat, king-sized candy bars. It’s the little things, no? Breakfast at Cowboy Cafe – a cute local spot serving up hearty breakfast. You won’t leave hungry. 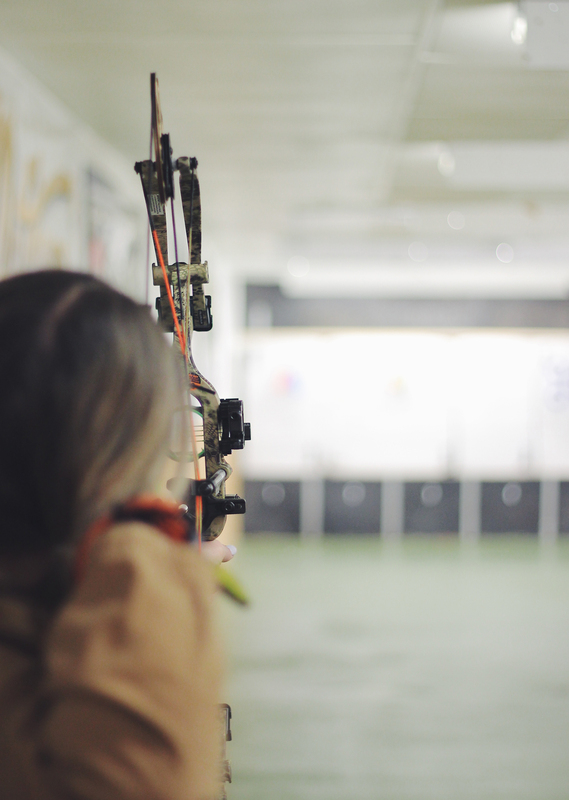 Archery Lessons at Rocky Mountain Discount Sports – SO much fun! Shout-out to Elaine who helped me feel like I wasn’t a complete amateur at this. Even though I 100% was. 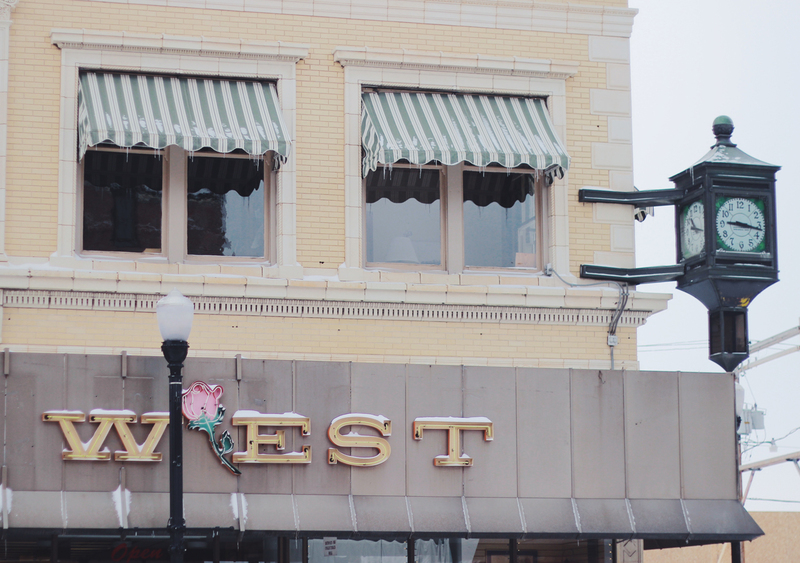 Shopping on Main Street – we hit up Best Out West and I could have stayed there all day. So many vintage and antique treasures. 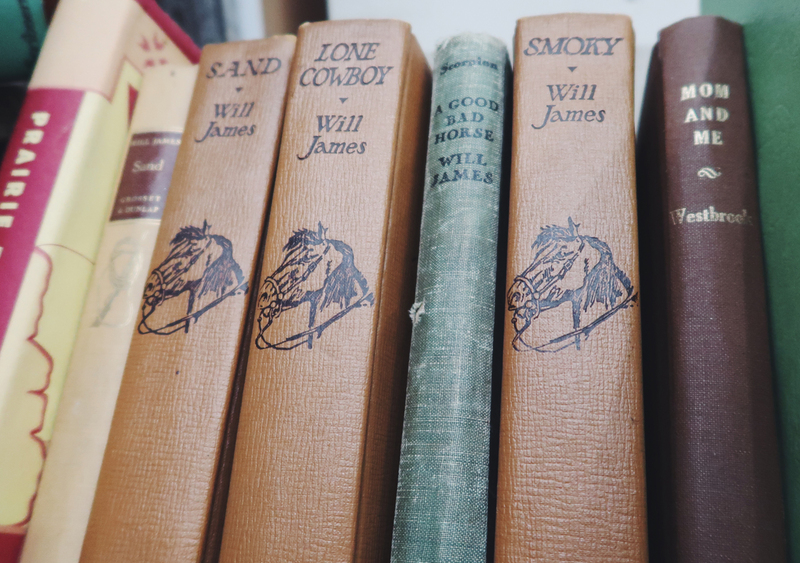 I picked up whiskey bottles from the 1890s, a vintage camera and a book about Butch Cassidy. We also popped into Little Willow Traders. 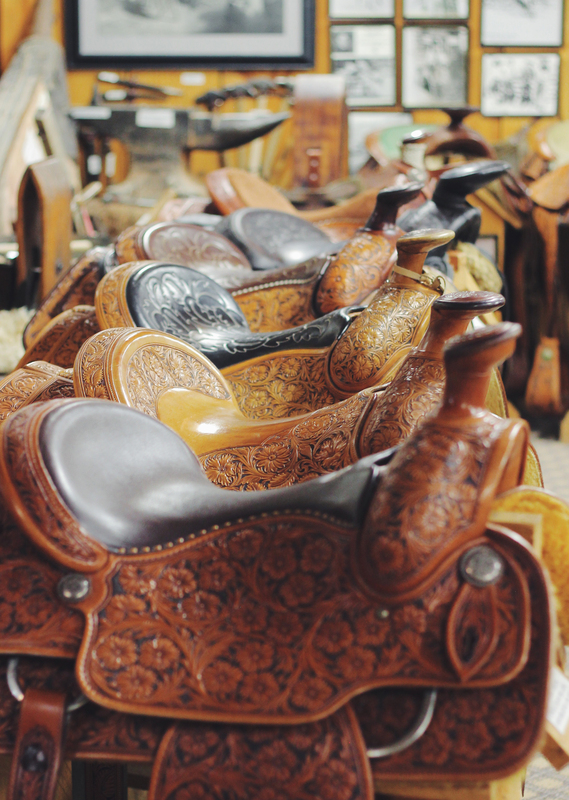 Kings Saddlery – A famous saddle and rope-maker, they also have a huge museum attached to their shop that has tons of amazing history and artifacts from the wild west (especially loved the Native American art and clothing and the old stage-coaches). Even better, they took us into their shop and showed us how they make rope! A strangely fascinating process. 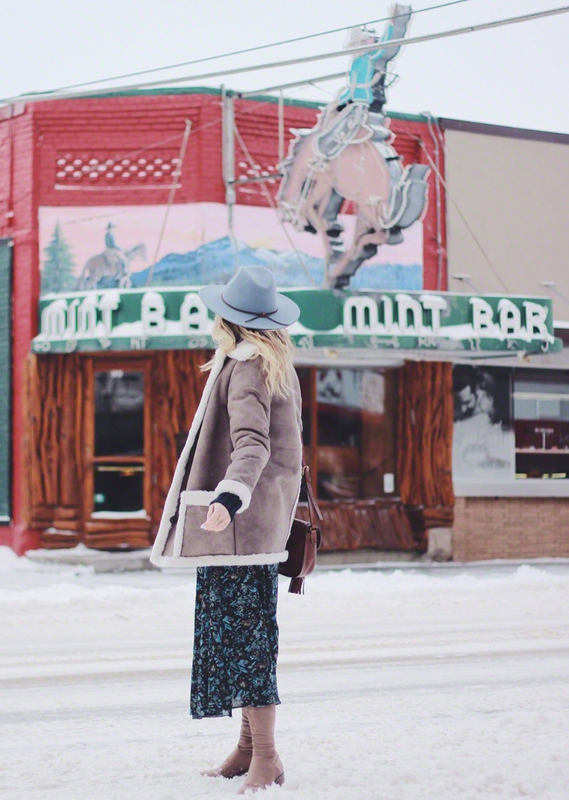 Drinks at Mint Bar – A cowboy watering hole since 1907 and a mainstay of the downtown Sheridan landscape. 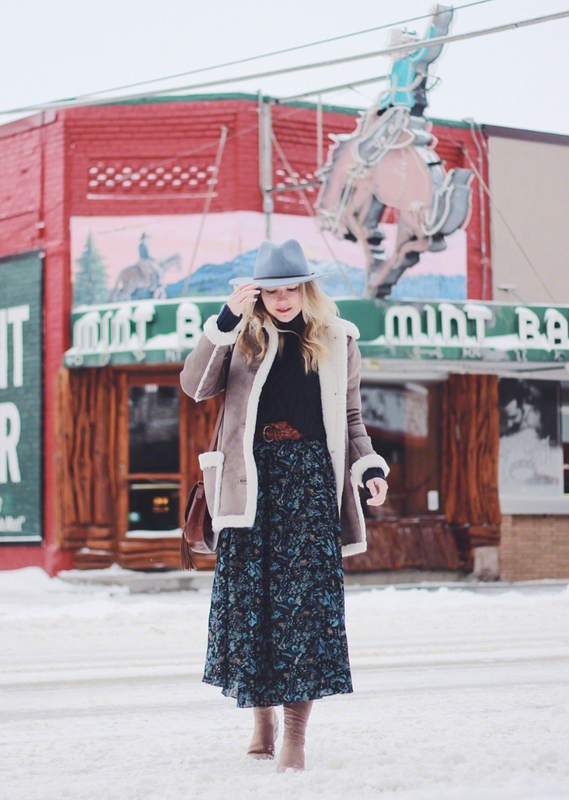 It felt like a mix between an old time saloon and your favorite neighborhood bar. In short, I loved it here. Dinner at Open Range – This restaurant is connected to the Historic Sheridan Inn where we stayed and served up one of the best dinners of our trip. Great beer pairings and a super cozy feel. Although… I’d avoid the Rocky Mountain Oysters (aka fried bull’s testicles) – although Adam was brave enough. Music and dancing at Sheridan Inn – They had a great band playing on Friday night and it felt like the whole town came out, really fun and also family friendly. A few more drinks at Luminous Brewhouse – Another favorite spot, just a great local hang out, good beer and amazing live music. Breakfast at Shabby Shack – The cutest little place on the edge of downtown. Loved the food and the atmosphere. 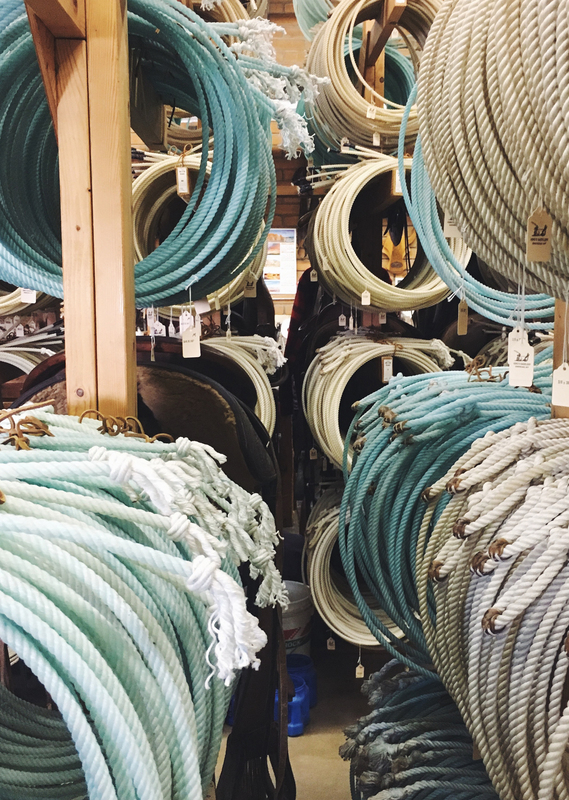 Tour of Big Horn Design and Shop at Surf Wyoming – this was one of many examples of local places that were really growing and expanding but in a way that felt true to the community. Surf Wyoming was one of those cool spots that you can totally see in Venice or Austin or Brooklyn. We picked up their ‘Wyoming as Folk’ t-shirts. Brewery Tour at Black Tooth Brewery – this place is so awesome. Similar to Big Horn Design in that they’ve had such incredible growth over the past few years and you can see why. The beer was so damn good and we loved getting a behind the scenes tour of the entire beer-making process. The Paint Post – I’d never done one of those popular paint classes but it was so much fun and even more so hilarious because Adam and I didn’t show each other our work until the very end. Highly recommend for couples or a group of girlfriends! Dinner at Frackletons – Loved it here, was a great mix between being a little more upscale but still completely inviting and not at all stuffy. And the food. Delicious. Would have eaten here twice if we could have. Drinks and Dancing at Luminous Brewhouse – This particular night they were hosting a Winter Dance Party complete with 50’s themed band, swing-dancing and costumes. 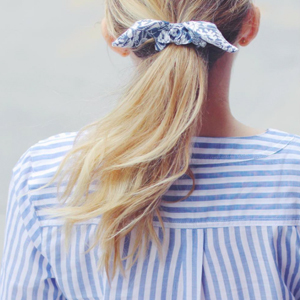 We threw together thrift store outfits, met up with new friends and twirled away. Breakfast at the Silver Spur Cafe – A total cowboy’s breakfast dream. I think I ate more bacon on this trip than I have in the past year – and am not mad about it. Fat-biking and Snow-shoeing in the Bighorn Mountains – We had a trusty guide John Kirlin – the Director of Antelope Butte Foundation, a non-profit organization that’s set to reopen the Antelope Butte ski slope and lodge in the Bighorn Mountains that’s set to open next Winter – who took us up the mountain and let us loose in the snow, patiently teaching us fat-biking and snow-shoeing along the way. It was amazing to be the only ones out there for the most part and get to try new activities. Also, John let us pull over the car probably 5 times to take pictures and for that alone he deserves an award. 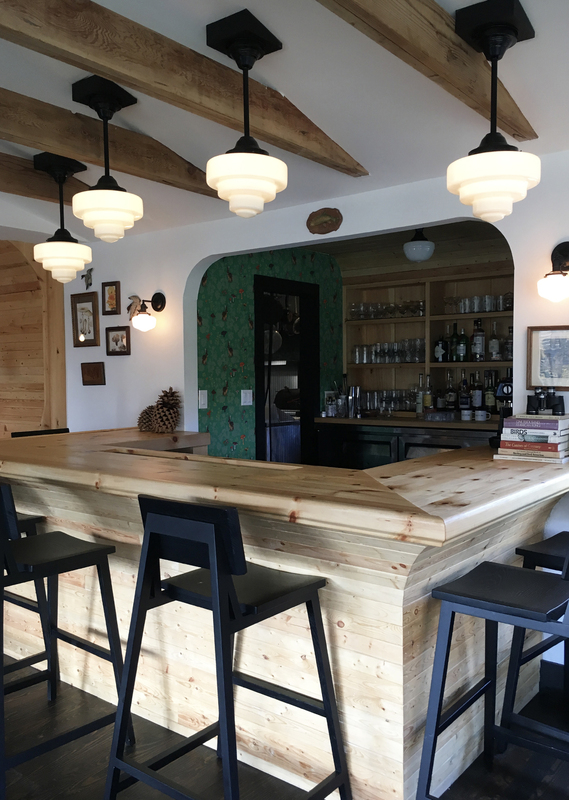 Lunch at Bear Lodge – a neighboring lodge that has all the rustic appeal you’d hope for from a snow-covered spot tucked high up in the mountains. Great for grabbing a drink or a warm bite to eat after a day in the cold. Wine Tasting and Light Bites at The Gallery on Main – such a cool spot just outside of Sheridan on the way back down the mountain. A multi-use space they’ve got an open kitchen serving up delicious home-cooked food, great wine out of Jackson Hole wineries and an amazing gallery of local artists. Plus, just about the nicest owner with the sweetest 90 year old Dad you’ll ever meet. (Hi Gina! Hi Eddie!) We felt like family by the time we’d left. Breakfast at P.O. News and Cafe – Another spot that has been on the main street of Sheridan for the past 100+ years. I loved all of the antiques they had on the display and that it felt like it’s never lost a bit of it’s charm along the way. Buffalo Reserve at Kendrick Park – The Kendrick Mansion (a local historical house you can tour) was unfortunately closed at the time, but we were still hoping to see Bison or Elk so we took a drive by the reserve park. 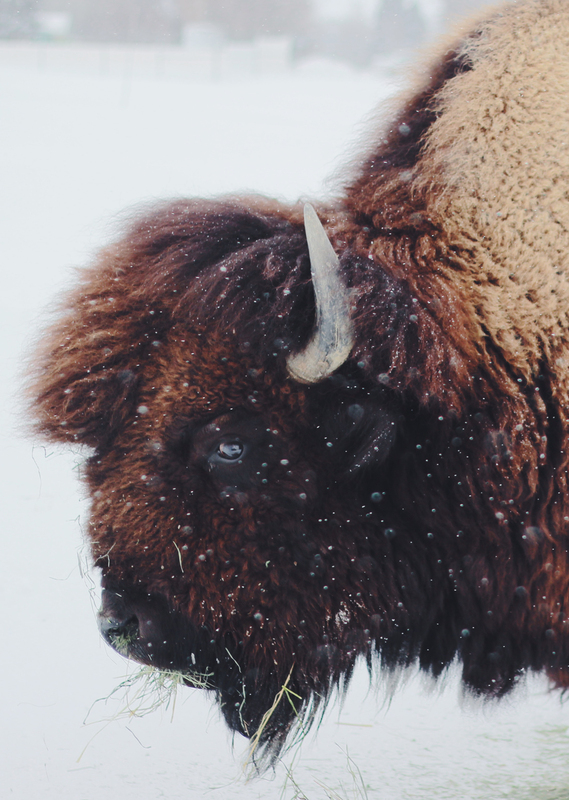 In a very generous act, the Parks and Recs guys let us jump into their trucks and drove us right inside the park and with windows down, let us sit no more than a few feet away from a family of Bison and a pair of Elk. Truly one of the coolest things I’ve ever done. See you again someday Sheridan! 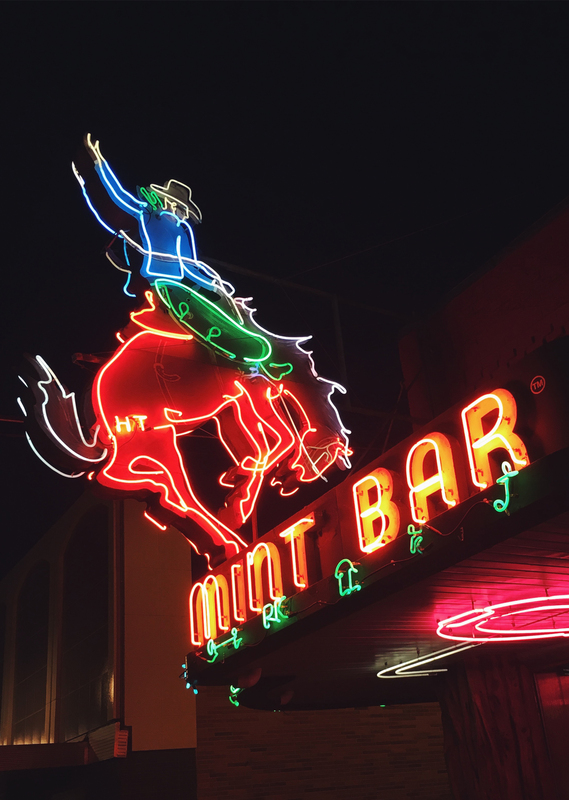 Mint Bar, a watering hole for cowboys since 1907, is one of the landmark’s of downtown Sheridan, Wyoming. 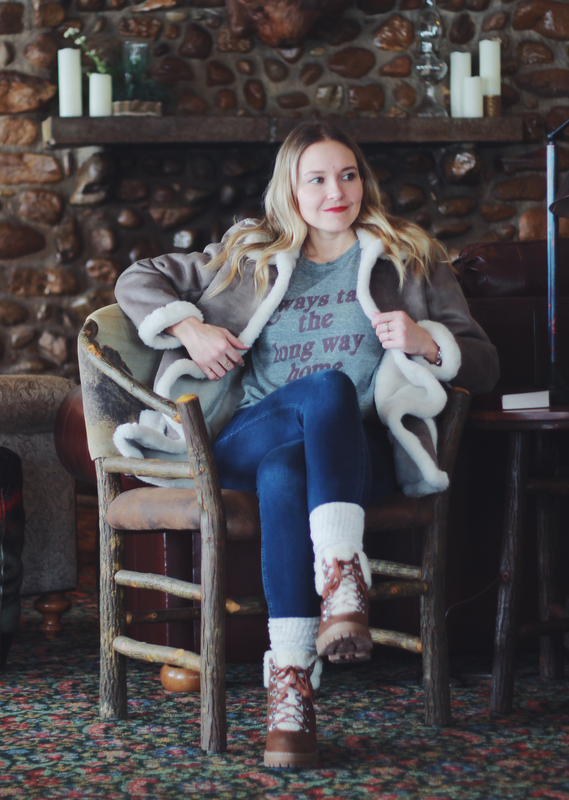 Stepping underneath the big, bucking neon sign and into the inviting, rustic interiors felt a little bit like stepping back in time. Into one of the saloons of the wild west, where beer and whiskey were plentiful and everyone knew your name. Needless to say, it was one of my favorite places that we visited while in town. And this outfit – with similar nods to cowboy culture was fittingly one of my favorites that I wore while we were on our trip. 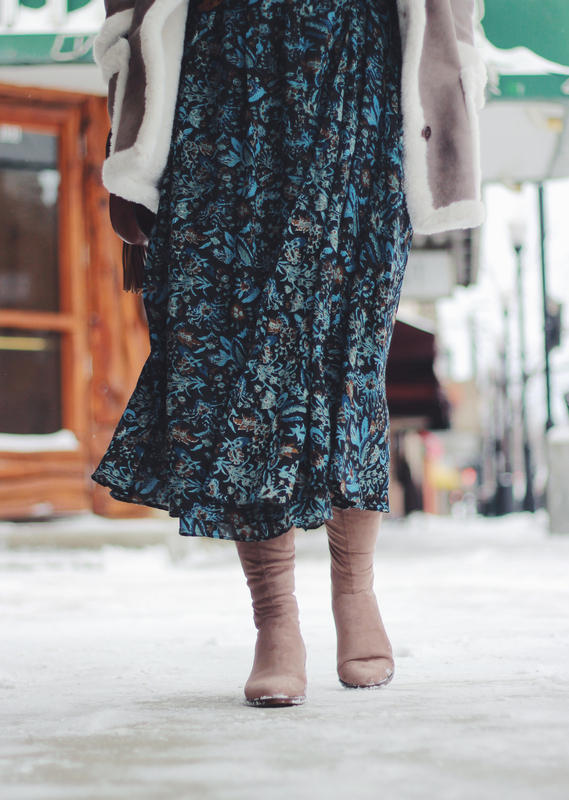 It was (unsurprisingly based on the snow you see here) pretty cold while we were in town – so I did my best to strategically layer. 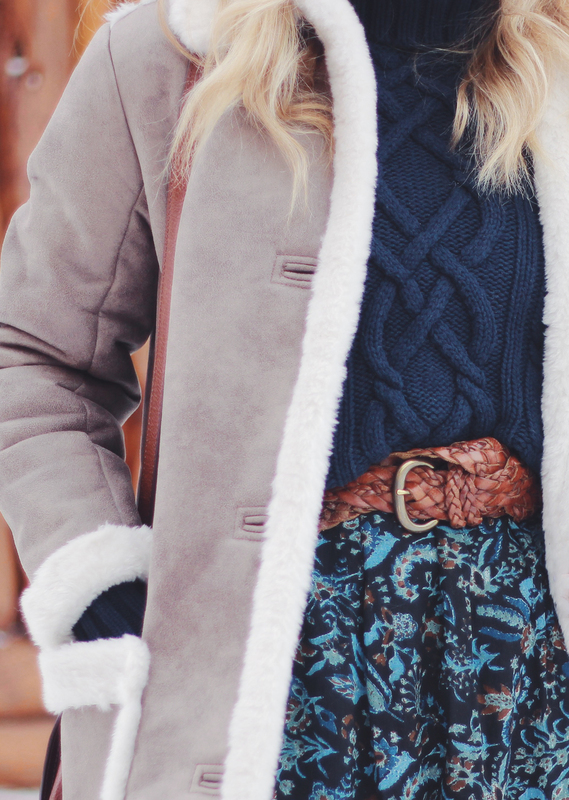 For instance, under this maxi dress I was wearing my heat tech leggings, over the knee boots and then the thickest sweater I own over top and this seriously warm faux shearling coat. While I’m definitely ready for warmer weather – there is a certain amount of fun to be had in layering and playing with a mix of textures. Another fun thing? The huge stack of pancakes I had at P.O. News and Cafe down the street after we took these photos. A great local spot that has also been standing for over 100 years and hasn’t lost a lick of it’s charm. Can’t wait to share our full travel video and itinerary with you guys this week! 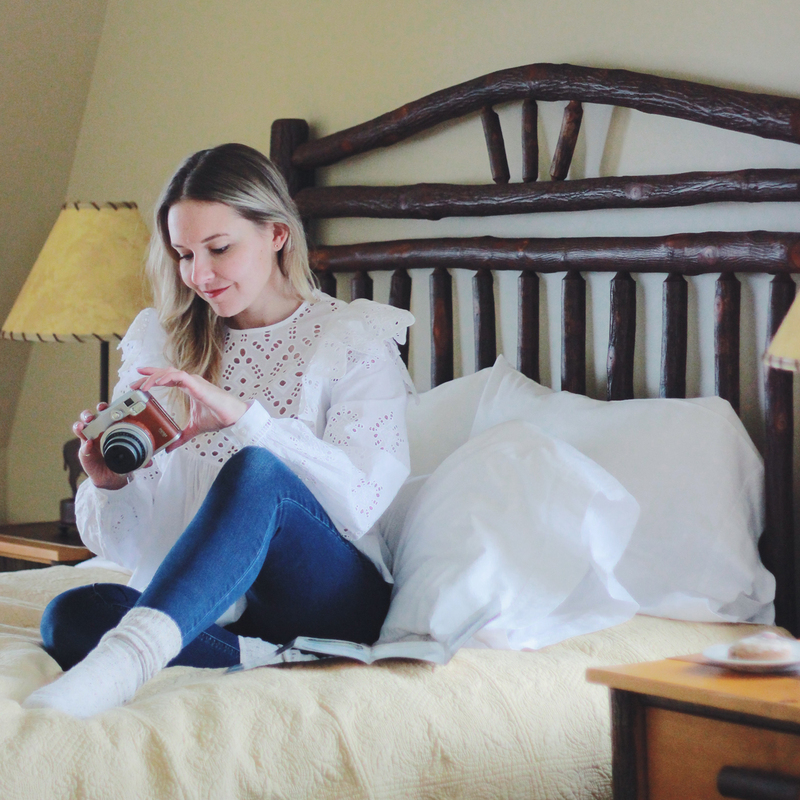 When I thought about how I wanted to share our trip to Wyoming with you all – I knew that the Sheridan Inn would need it’s own post. Our home base for our time in Sheridan, this was one of the very first places I was set on when we first started researching for our trip. I’ve become really picky about our hotel choices over the years (painstakingly so Adam would tell you) because to me, it’s kind of the cornerstone of any travel. 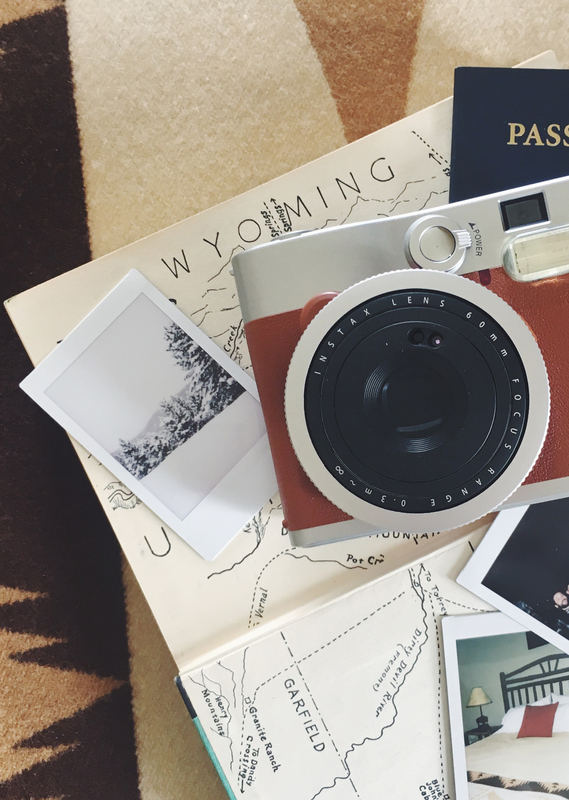 It sets the tone for the trip and offers comfort after long days of exploring. And my biggest requirement – that it reflects the destination and really feels like you’re immersed in a place. The Historic Sheridan Inn checked all of those boxes. 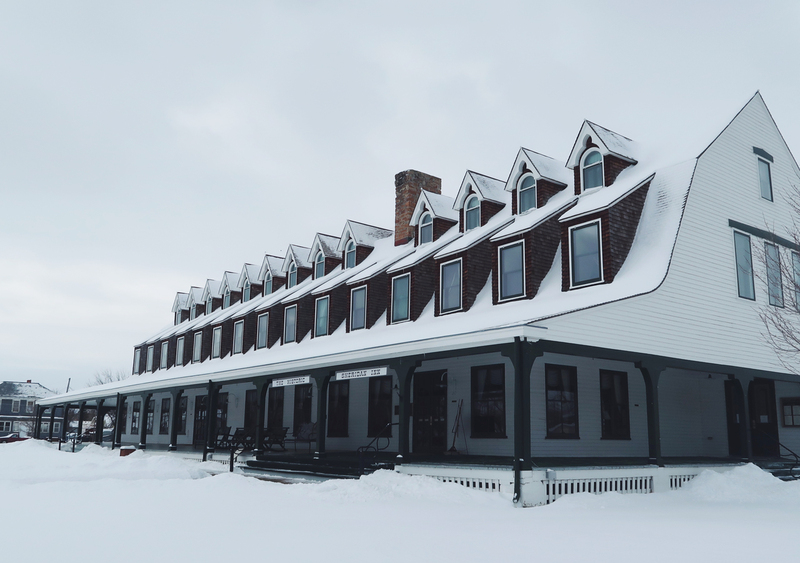 Conveniently located right at the end of downtown, each night the Inn welcomed us back inside with a roaring fire, cloud like bed and dreamy clawfoot tub. 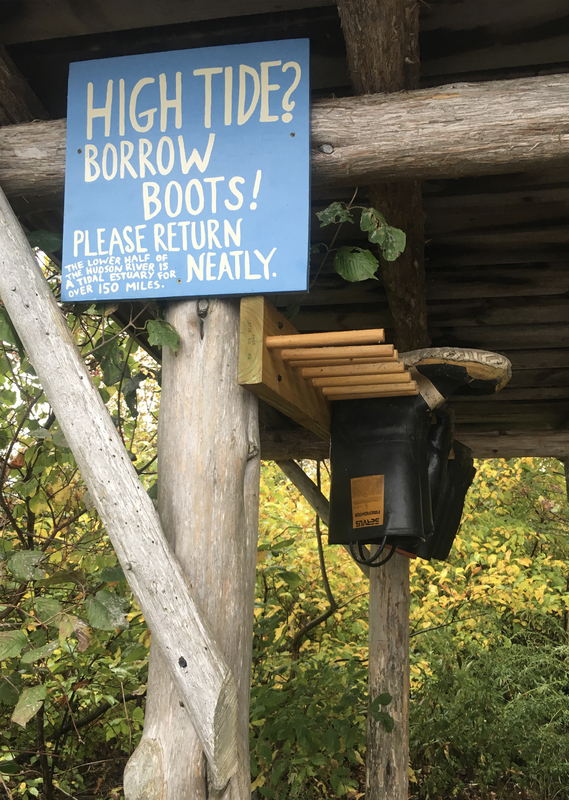 Aside from all of that, the place was steeped in history – not just for the town of Sheridan but the Wild West and world over. It was home base for Buffalo Bill who would practice his rodeo shows on the grand front porch. Annie Oakley, Teddy Roosevelt and even Queen Elizabeth on her visit to town all stayed there. 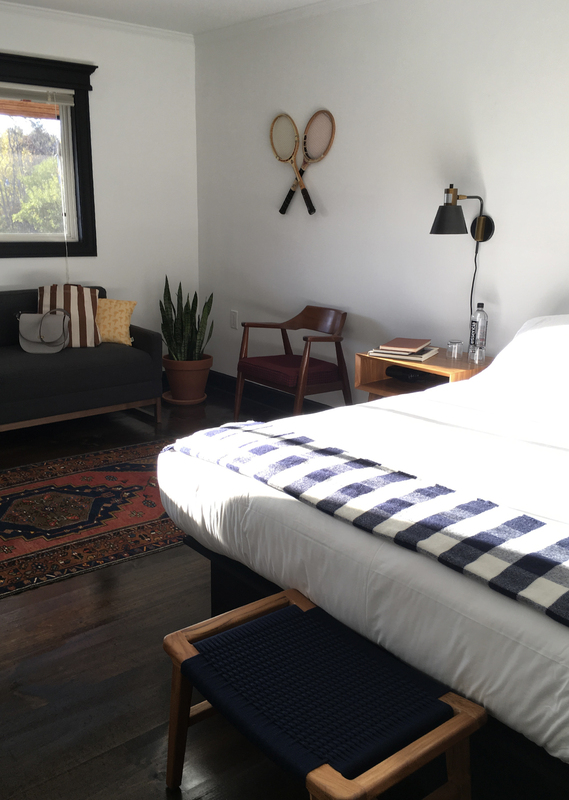 Each room is completely unique and named after one of it’s infamous guests. We had the pleasure of staying in the Buffalo Bill suite which felt as grand as the man himself (I think I lost count of how many soaks I had in that huge tub). Local shop Little Willow Traders, which we later visited downtown, did all of the interior decorating and every detail felt so thoughtfully put in place – from the handmade chairs in the lobby to the Pendleton blankets on the end of each bed to the checkerboard tables on the 3rd floor suite where guests can relax and play games. And yes, Adam beat me. And yes, I still think he cheated. Aside from all of that, the staff was the absolute sweetest, they have a full ballroom where they had live music and dancing on Friday night and a connected restaurant called Open Range that served up a seriously hearty dinner complete with local craft beer pairings. In short, if we hadn’t had such a jam-packed itinerary we may very well have never left the Inn. 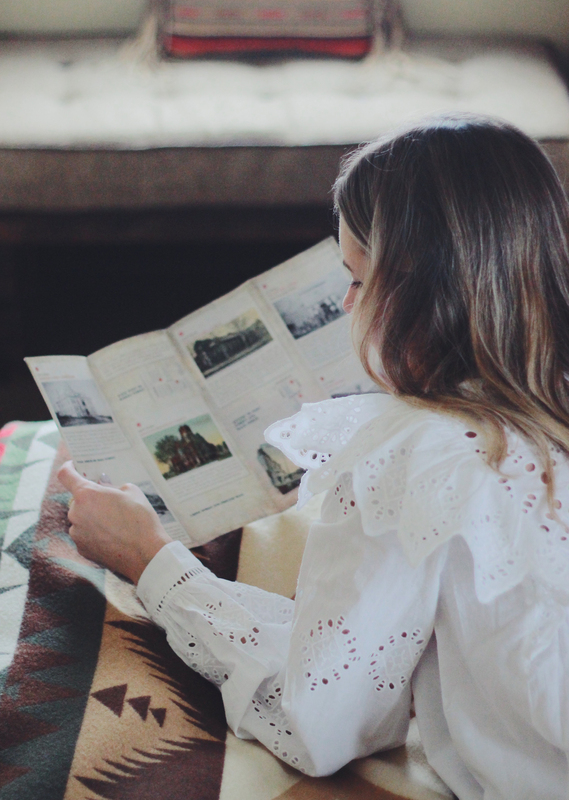 I’m going to be sharing our entire itinerary coming up next (style posts so far from Sheridan here and here), but let this serve as a sneak peek of the epic cowboy adventure I’m about to take you all on. 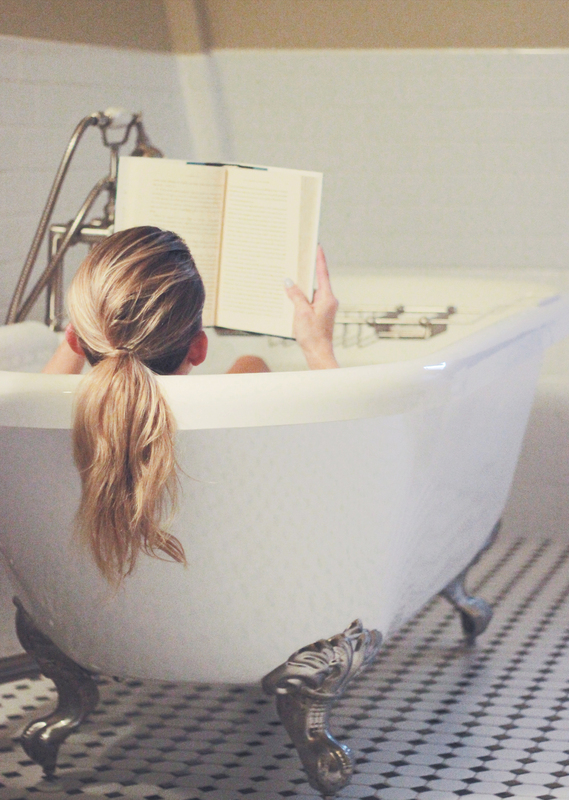 Until then.. I’ll be here.. dreaming of how to get myself one of those tubs. **A special thank you to Wyoming, Sheridan and the Sheridan Inn for hosting us. As always all opinions are completely my own. 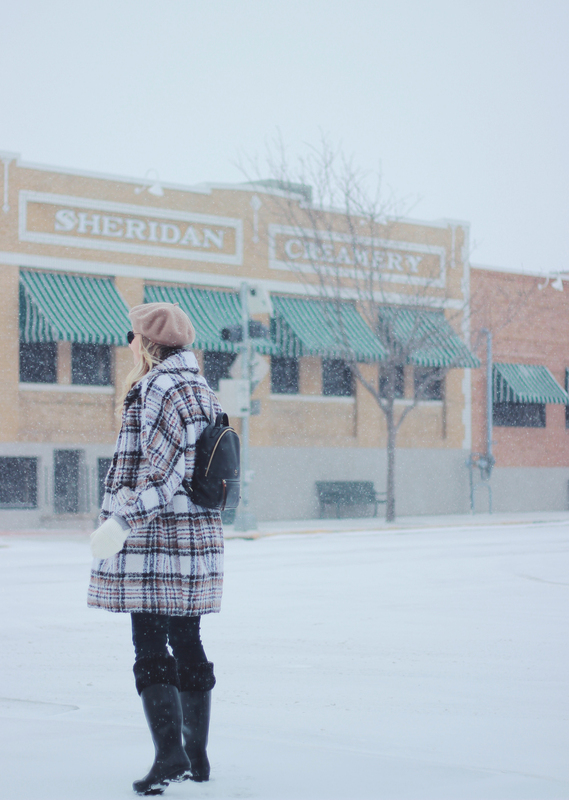 On our second day in Sheridan, Wyoming it started to snow. 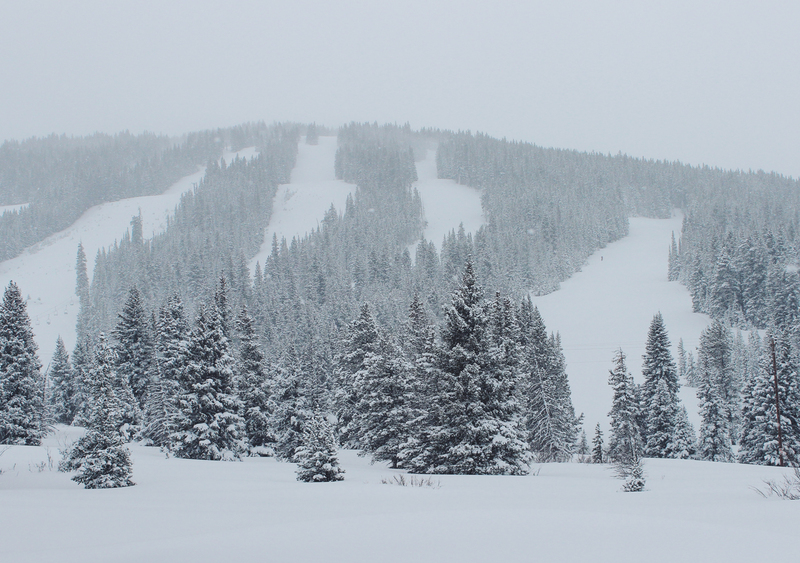 And it kept on snowing straight through the weekend and right up until we boarded our flight home. But then, isn’t that what Winter in Wyoming is meant to look like? A picture-perfect snow globe if you ask me. 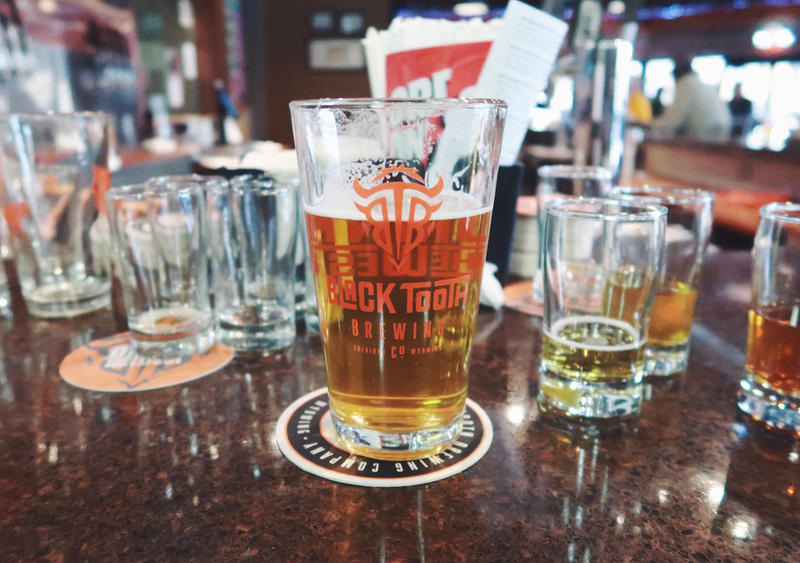 We snapped these photos quickly after taking a tour of Blacktooth Brewery (we’ll be sharing our full itinerary + travel video later this week!) before we skated our way across town for a delicious taco lunch at Olivia’s Kitchen. 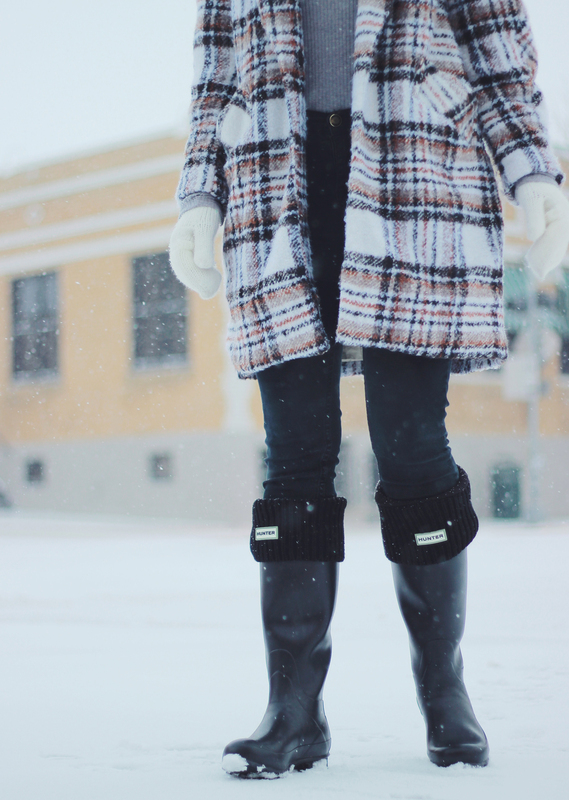 I was grateful to have packed lots of layers and these boot liners for my new Hunter Boots (I wore my last pair for 8 years until they finally kicked it and Adam replaced them for me at Christmas) which kept me nice and toasty despite the blizzard. 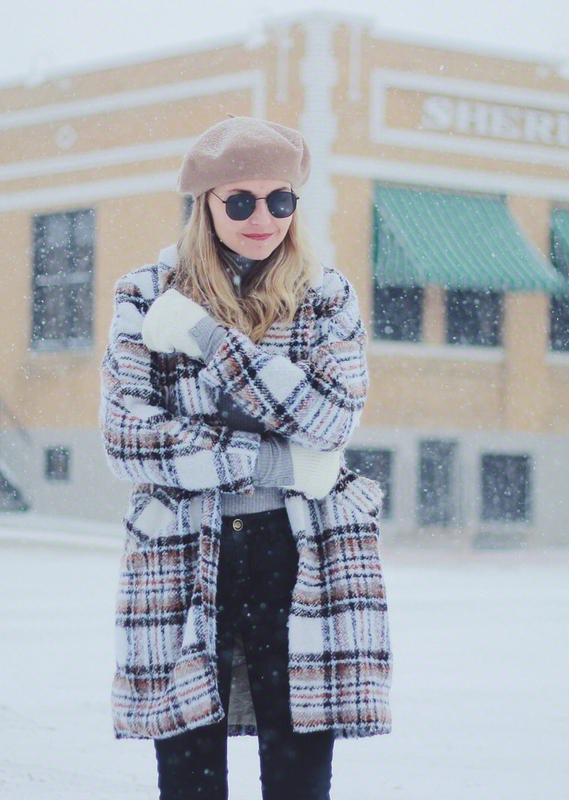 This wool beret has gotten a ton of wear this Winter and makes a chic alternative to a regular beanie or pom hat in the cold. 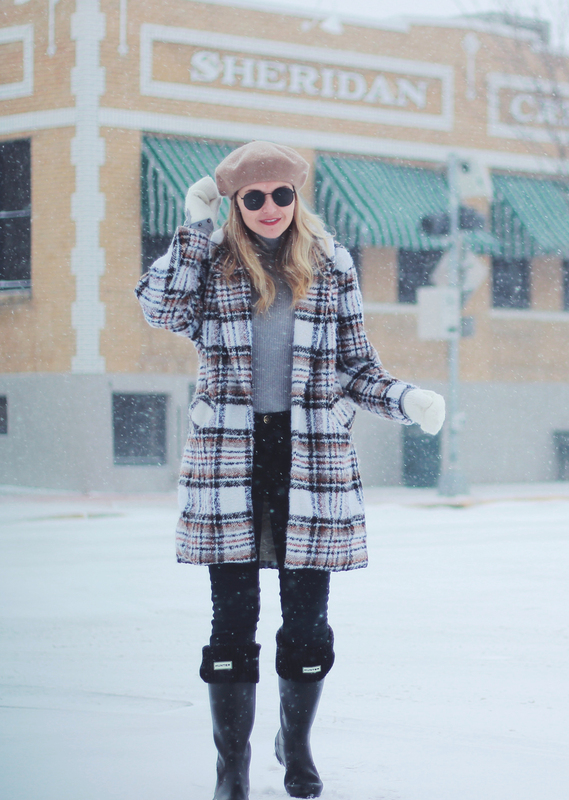 And this plaid coat had been stored at my parent’s house before I dug it out specifically for the trip – if you’re going to spend an entire vacation in outerwear.. it may as well be cute, right?